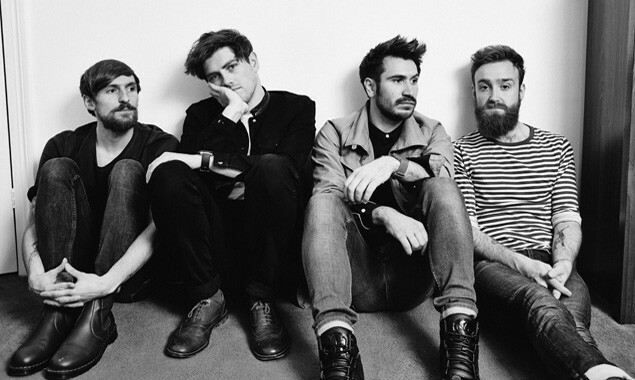 On Thurday, May 07, we you'll be having a good, long chat with Twin Atlantic. We'd like five of you to ask the band anything you like. Sound good? Read the rules below. The five readers chosen will get to put their questions to the band and have their faces in a future issue of Rock Sound magazine. 1. You will need to make your own way to and from the venue for the interview. We'll be coming down the road in a canoe, Flintstones-style. 4. As ever, you are welcome to bring biscuits. We- uh, Sam McTrusty prefers custard creams. 5. We can't offer tickets to their show that night as part of this. Nope, not even if you ask nicely. 6. This interview is happening in London, England around 1pm. We'll send successful applicants FULL details on Tuesday, but it'll definitely be happening in London. Not Glasgow. Definitely not Glasgow. 7. This is going to be fun. Promise. Twin Atlantic's biggest ever UK tour kicks off next week.